As can be seen from the snapshot above, there are many options that can be controlled directly from the dashboard. 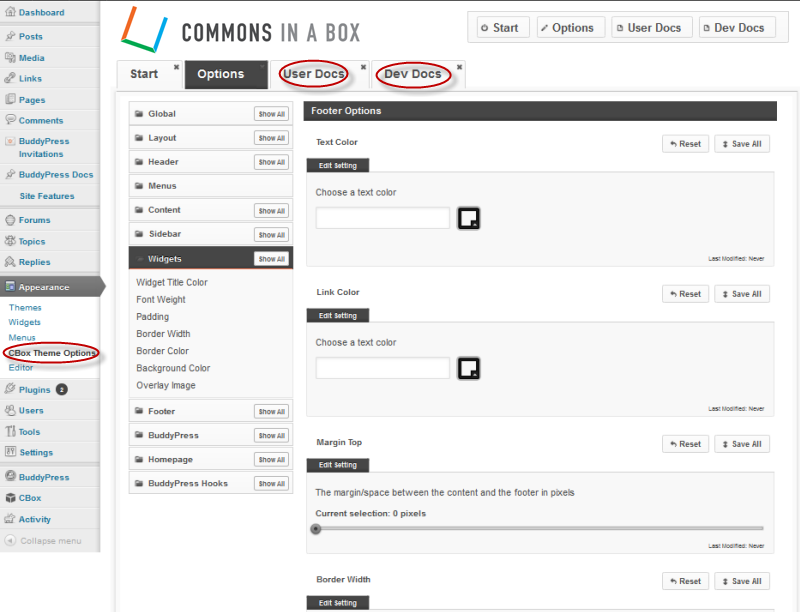 Clicking on “User Docs” will take you to the documentation found here at commonsinabox.org. 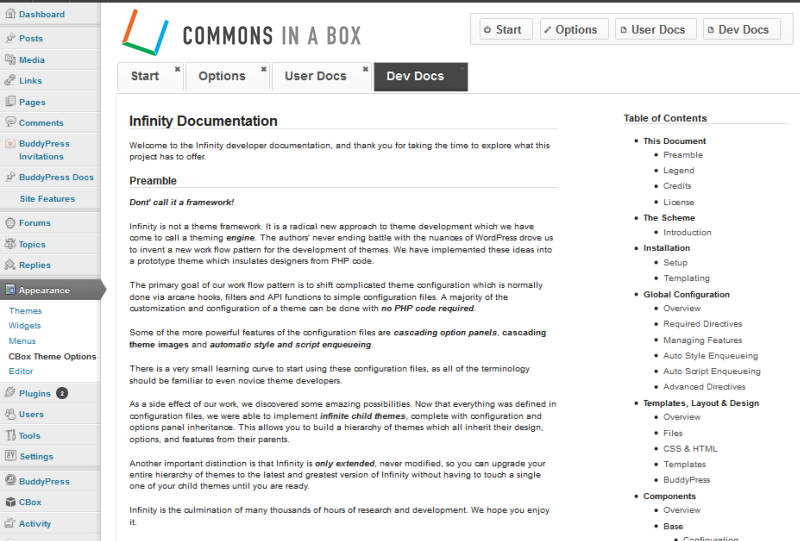 Clicking on “Dev Docs” will take you the Infinity Documentation. Both of these open within a frame and don’t take you away from your dashboard. If you’d like to make changes to the theme first take a look at the built-in theme options. You can find these under Appearance > CBOX Theme Options. If you want to make advanced customizations to the theme you can make a child theme of the CBOX theme, and add you own customizations. 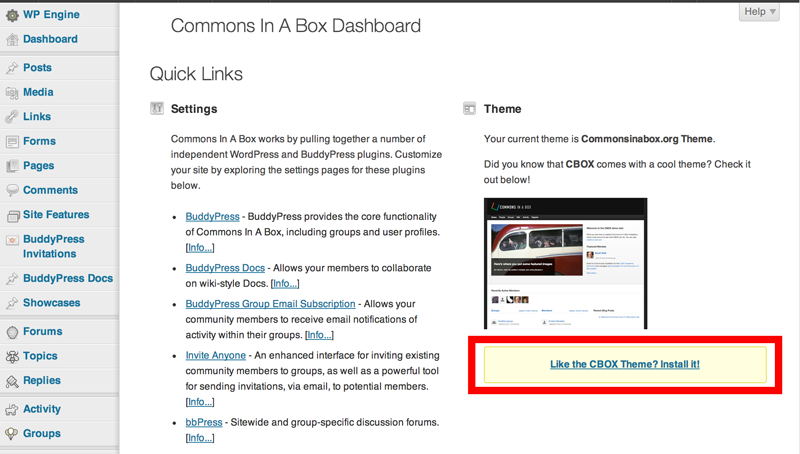 Visit CBOX Classic Theme Developer Guide for a step-by-step tutorial series!